Who let Kenneth Branagh direct a Marvel movie? Whose great idea was bringing a Shakespeare director to a comic book movie? What film that he helmed impressed upon people that he could take superheroes onto his shoulders? Sometimes simple stupidity astounds me. This was a bad idea from the beginning, and how anyone could have thought otherwise baffles me. The MU was just starting, Iron Man was a hit, it was time to add in more elements, Thor was a perfect vehicle, and then they hired Branagh and dyed Hemsworth’s eyebrows yellow; how dumb can you get. The result is, not shockingly, bad, and I could have told you that before I ever watched. Thor, God of Thunder, the arrogant son of Odin, King of Asgard, is ready to take the throne. But first his crafty adopted brother Loki has some tricks up his sleeve. The Frost Giants, ancient enemies of Asgard, attempt to break in to a hidden vault to steal powerful artifacts, an act that draws the ire of Thor and a declaration of war. But his hotheadedness only proves that he’s not ready to be King, and so Odin banishes his to Earth to prove his worth. There he meets the lovely and brilliant scientist Jane Foster, who has been studying the effect of the Bifrost Bridge, the Asgardian way to travel throughout the Nine Realms. 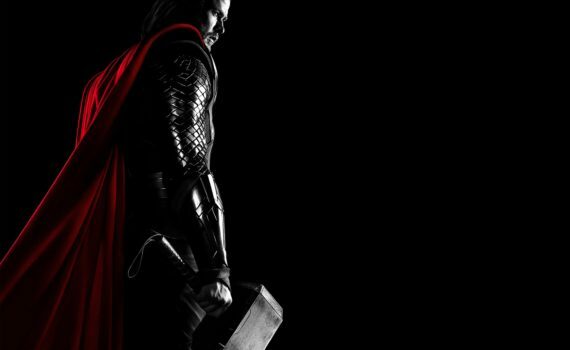 Thor must regain his power and defeat his brother Loki, who has always wanted the throne for his own. The eyebrows were the first, but not last, thing to bother me about this movie. They just looked cheap, and thank god Thor became more natural over the course of the films, because he was way too silly early on, and that’s no good. Speaking of silly, I hated Portman and her crew (Stellen Skarsgard, Kat Dennings); they were unneeded and poor actors all. As were Thor’s crew (Volstag, Hogun, Fandral, Sif); they were equally terrible. The saving grace was Tom Hiddleston as Loki, he is great whenever he appears in this Universe, as well as Anthony Hopkins as Odin and Idris Elba and Heimdall. You could tell that the filmmakers were just getting started, but you’d think they’d know what worked, after Iron Man, and what didn’t, when they watched the footage back before releasing it. I’ve seen the other Thor movies, they get better, especially Ragnarok; apparently what was needed was a new director and a touch of actual humor. But the early films are weak, ridiculous, and unnecessary; if they didn’t all connect I’d say you could leave them untouched.